In a collaborative project , when there is an amalgamation of different creative minds, many exciting doors open and multiple thought processes are laid out on the table . That makes it a unique learning experience and more challenging. It is very important to get all perspectives while creating something beautiful. 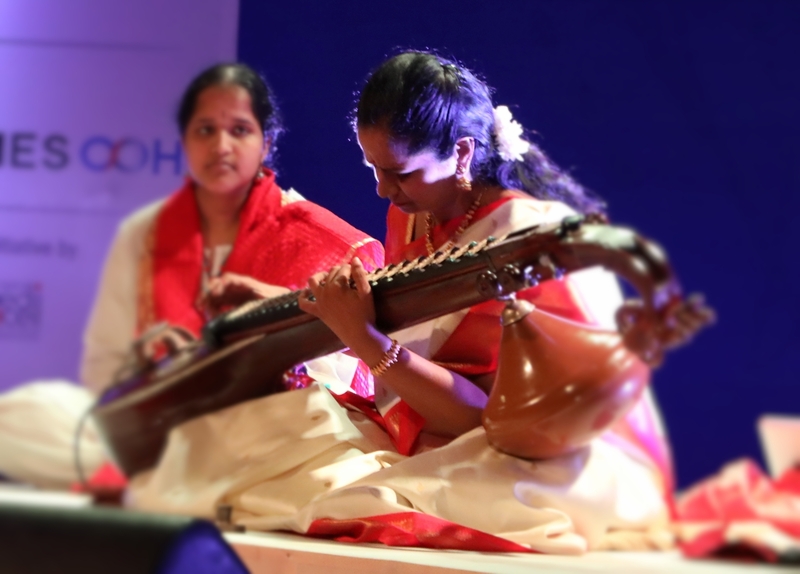 One such wonderful opportunity came up when we performed for TOI’s Swarsangam festival in Bangalore on 25th March, 2018. Times of India organized its Swarsangam festival in March, 2018 and Dr. Jayanthi Kumaresh with Indian Spice – featuring various artists was presented at Chowdiah Hall, Bangalore on March 25th 2018. Collaborating with such wonderful musicians was a beautiful experience and one that I will remember for some time to come. Shri. Praveen D Rao on Keyboard, Shri. Annada Prasanna Pattanaik on Flute, Shri. 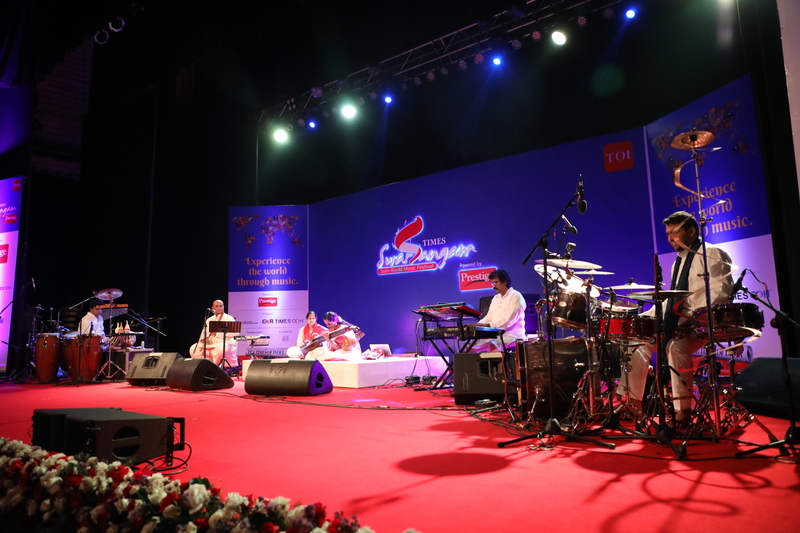 Arun Kumar on Drums and Shri. Pramath Kiran on Creative Percussions. Here are a few images from the concert and a link to a short video clip taken during the rehearsals.